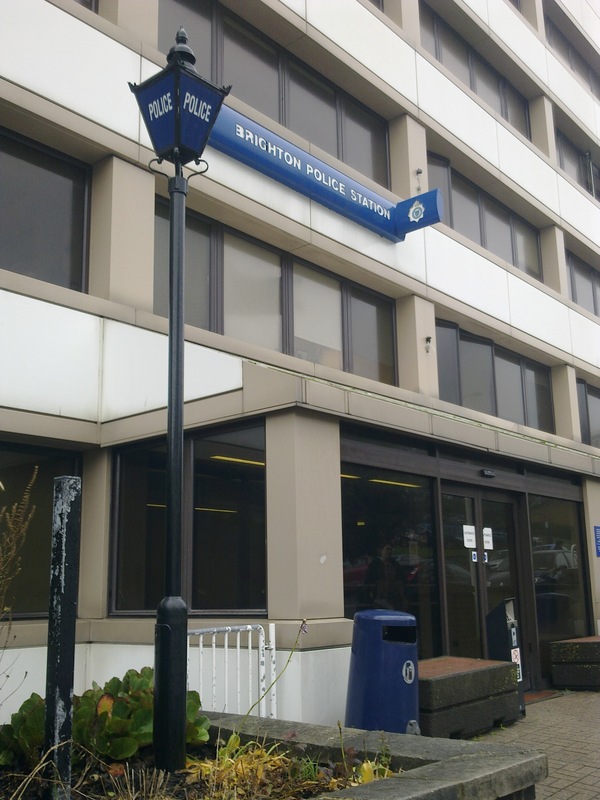 Having witnessed a crime in the vicinity of Churchill Square, I dutifully visited Brighton Police Station to make a statement. 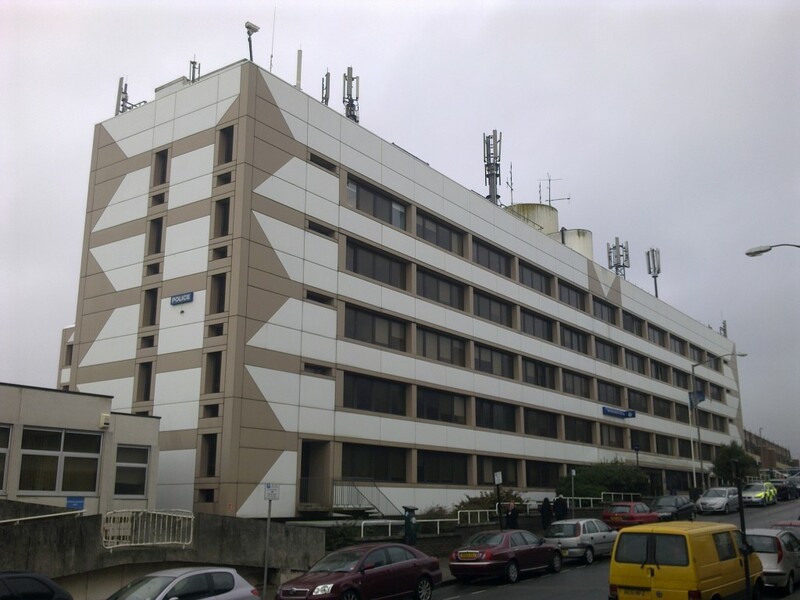 Described by Timothy Carder, the author of The Encyclopædia of Brighton as being, ‘amongst the ugliest of the town’s public buildings’, Brighton Police Station is no architectural treat but the visit reminded me of the fascinating way in which our force has grown over the years. The 1810 Brighton Town Act allowed the town commissioners to appoint eight ‘watchmen’ to patrol Brighton at night. Sixteen more were appointed in 1815. Prior to this, a high constable with assistants was responsible for law and order in the town. In 1838, the first fully professional force locally was set up in the basement of what was then the new Town Hall and, by 1865, there were one hundred officers and men. Much evidence exists of Brighton Police’s time at Brighton Town Hall. In fact, during recent years, the basement has been transformed into a successful police museum complete with cells. On the east side of the building it is still possible to see ‘POLICE’ on the frosted lower windows from the outside. The building on John Street was opened in 1965 by the Home Secretary of the day, Sir Frank Soskice QC MP. It is essentially a huge concrete slab between John Street and William Street with two protruding wings. There is a large garage underneath and a phenomenal number of aerials above. Its look has changed greatly since it was built – for neither better nor worse really – due to the addition of external cladding. It is now rather a mix of styles as the cladding conflicts with the surrounding external walls’ inlaid flints (that once complimented decorative flints on the building itself). It projects an aura of officiousness and bureaucracy, not one of cohesion and authority as it should. The Sussex Constabulary was formed in 1968 when a number of individual forces, including Brighton Borough Police, East Sussex Police and the West Sussex Constabulary were merged. Rather pointlessly, its name was changed to Sussex Police shortly afterwards. Brighton & Hove is today arranged as a division of Sussex Police and is in turn divided into three districts. Brighton Police Station was designed by the Borough Engineer at the time, Percy Billington, in what must have seemed an exercise in efficiency and modernity. Hindsight exposes the project as a crime – in architecture.